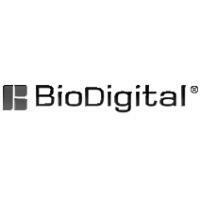 BioDigital is the leading developer of state of the art biomedical visualization systems. We specialize in 3D animation, immersive training environments, and medical information systems. Founded in 2002 on the premise that advancements in 3D and information technology will revolutionize the way we understand scientific subjects, this vision has continued to drive innovation to meet the growing demands in healthcare. Rooted in academia and located in Manhattan, BioDigital benefits from close affiliations with prominent hospitals. Our team of scientists, software engineers, physicians, and digital artists trained specifically in biology are committed to the development of novel, medically accurate solutions with unparalleled service to our customers.